Grass tetany can affect all classes of cattle, but older cows with calves at foot during winter and spring are most at risk. Very thin and overly fat animals are also more susceptible, as are Angus cattle and their crosses. Cattle hold magnesium in the bones and muscles but cannot readily access and utilise these stores when needed. The animal constantly loses magnesium in urine, faeces and milk, so it needs magnesium in its feed to meet daily requirements. A cow in peak lactation (6–8 weeks following calving) needs a constant source of magnesium to replace the large amount lost from the body in milk. Even when feed levels of magnesium are low, the loss of magnesium in the milk remains the same. Low magnesium in the blood of an animal can be caused by low magnesium levels in feed and/or reduced magnesium absorption. low intake of phosphorus and salt. Animals suffering from grass tetany are often found dead. There may be marks on the ground beside the animal indicating they were leg paddling before death (lying on their side with stiff outstretched legs that thrash backwards and forwards). Early signs include some excitability with muscle twitching, an exaggerated awareness and a stiff gait. Animals may appear aggressive and may progress through galloping, bellowing and then staggering. In less severe cases, the only signs may be a change in the character of the animal and difficulty in handling. Blood magnesium levels must be restored. Veterinary administration of an intravenous calcium and magnesium solution produces best results. However, in acute cases where time is critical, producers can inject a calcium and magnesium solution under the skin. adding magnesium to concentrates or pellets. These products are available from your veterinarian, feed supplier or rural supplies company. Provide magnesium supplements (see below). Keep good records to inform future management. For problem paddocks, consider pasture leaf analysis for magnesium and potassium. Consult your veterinarian for further advice. Lactating cows need at least two grams of magnesium per kilogram of dry matter. Add 3g magnesium sulphate per kilogram of hay to help make up any shortfall (a 350kg hay roll needs 1kg of magnesium sulphate added). Add molasses to improve palatability. Dissolve 1kg of molasses with 1kg of magnesium sulphate in 20 litres of hot water. Soak this into the hay roll before feeding, or spray onto hay after it is rolled out. Apply dry magnesium oxide to pasture at up to 30kg/ha every three weeks during risk periods (of all supplements, magnesium oxide has the highest magnesium content). Spray pasture with magnesium sulphate fortnightly (2% magnesium sulphate in 1000L per hectare = 20kg/h). Use higher rates of magnesium if needed. Observe label directions where provided. locally occurring viruses and bacteria. Producers play a vital role in the early detection of exotic diseases in Australia. in your stock, ring your private veterinarian, the local Department of Primary Industries and Regional Development, Western Australia (DPIRD) field veterinary officer or the Emergency Animal Disease hotline on 1800 675 888. Early recognition and reporting of an exotic disease will help to minimise the spread and impact on your markets and your community. A veterinarian will be able to investigate whether grass tetany or another disease is occurring. Producers who detect signs of grass tetany in their stock, or notice any other unusual signs, should contact their private veterinarian or local DPIRD veterinary officer. 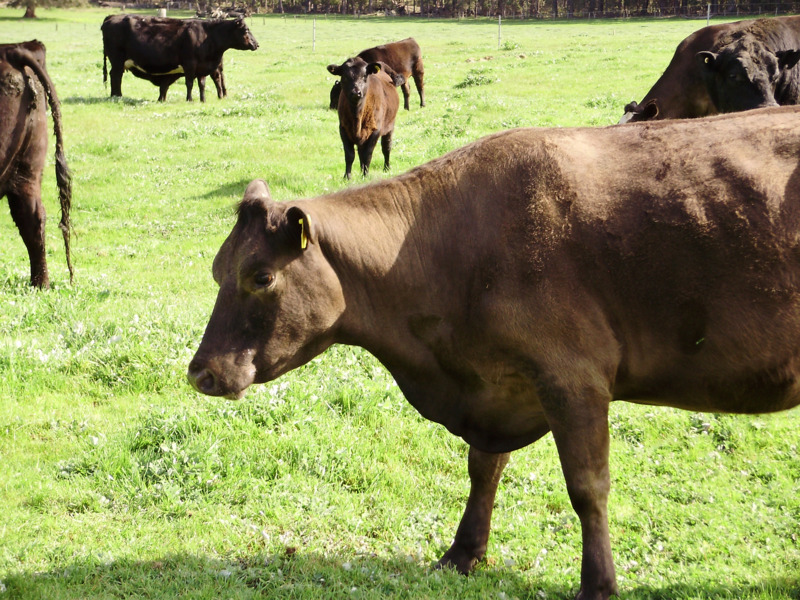 If a veterinarian autopsies cattle between 30 months and nine years old showing neurological signs (such as grass tetany signs), the producer may be entitled to claim a payment from DPIRD as part of the National Transmissible Spongiform Encephalopathies Surveillance Program (NTSESP). Incentive payments are also available for private veterinarians under the NTSESP. More information is available at the National Transmissible Spongiform Encephalopathies Surveillance Program webpage. These payments encourage reporting of neurological signs so that Australia can show it has tested sufficient animals with negative results to prove we are free of diseases such as bovine spongiform encephalopathy (BSE). Australia needs this proof of freedom to maintain export markets. DPIRD Field Veterinary Officers can provide more information about grass tetany in cattle. To find the contact details of your closest DPIRD Field Veterinary Officer, go to the Livestock Biosecurity program contacts page.